These are various websites, writers and resources that I - and many others also - have found helpful on this journey of seeking identity. I hope that you may find them useful as well. If there are other resources that you think could be listed here, please let me know. The Enneagram Institute is a website that gives some great information about the Enneagram, a personality test that I've found extremely helpful, and decidedly more in-depth than the MBTI (Myers-Briggs Type Indicator). The Enneagram talks about specific fears, strengths, failings of each type, and has details about what the different types look like at various levels of health. The site gives specific and helpful details about each different type, as well as offering an online version of the test (though I believe you have to pay for it). It also links you out to other resources that might be helpful. While each of us loves other people, and is loved by others - there are different ways that we both show and receive that love, different ways that mean more or less to us. These are what is called the five love languages - another very helpful tool to further discover and understand who you are. Ransomed Heart is a ministry of John and Stasi Eldredge, the writers of Wild At Heart and Captivating. These are the go-to books for understanding who you are as a man and woman. They also have heaps of fantastic resources available on their site, and lots of reading if you're a reader! Sacred Pathways is another way to discover more of how you are uniquely tuned to work. This focusses in on the ways that you best connect to God. Nature? Bible reading? Group worship? Just like different people have different ways to love each other, different people have different ways to connect with God. William Paul Young is an exceptional writer and storyteller. You may know him as the author of The Shack; he has also written a couple of other books since then, Cross Roads and Eve. Both I would very highly recommend. He is very good at dealing with issues of pain and loss, and cutting to the heart of serious struggles that people have with God and religion in general. He also keeps a blog running with plenty of content from both him and other great writers full of thoughts and ideas that will help you dive deeper in to this journey of seeking identity. Ted Dekker is probably my next favourite. He has a bit of a different style to Paul, but similar in his intent to communicate deep spiritual truths and ideas through story. I particularly encourage you to have a look at his series called The Circle, the Paradise series, The Lost Books, The Outlaw Chronicles, and both A.D. 30 & 33. He does a very good job at telling a very realistic, gritty story, while weaving in spiritual narrative as well. MercyMe are a fantastic Christian band; and particularly with their latest album, Welcome To The New, get in to some serious issues with their music and lyrics that relate in to this idea of identity. They've done some other great albums as well, and it's really interesting listening through the discography to see their development over time. This one is more specific to those in Australia, particularly in NSW around Sydney. 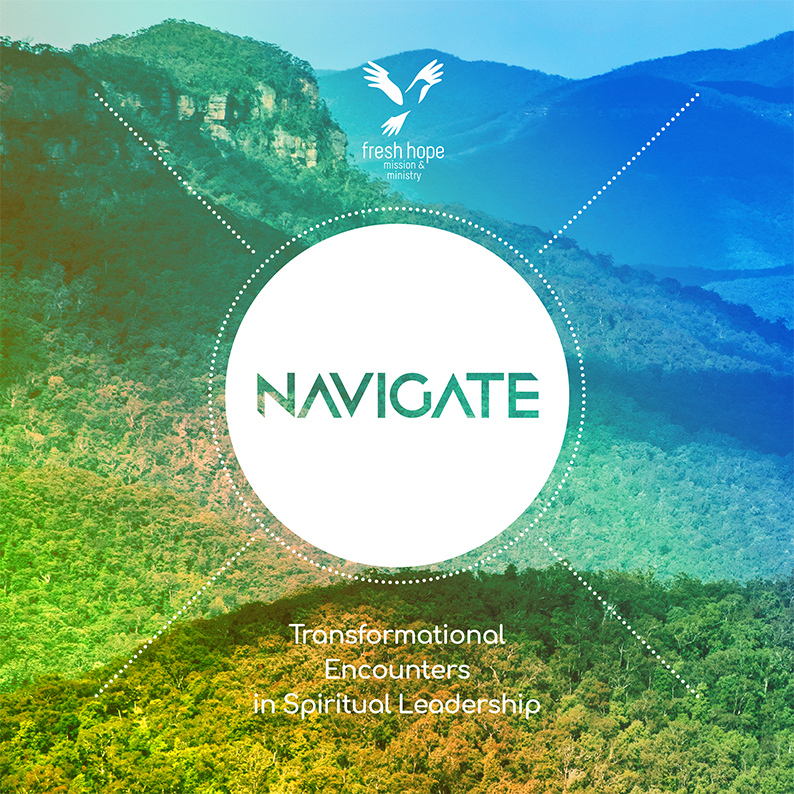 Navigate is a series of programs run by Fresh Hope (which is the Churches Of Christ in NSW), mainly aimed at young adults, but also with a program for seniors. They're a combination of Bible college (done through the Australian College Of Ministries), spiritual formation, leadership training, and great community. Particularly if you're finishing up with school or uni and you're wanting to dive a bit more into all of this, this is exactly the place to go. This is in a few different countries, but not everywhere. I'm linking firstly to the Centre For Men Australia website, because that's who I've done it through, but there is an international site as well. MROP is a week-long retreat that includes prayer, sharing in community, time for reflection, and diving into our own spirituality. As the name suggests, it's just for men. Sorry, sisters! Can't recommend this one enough. Should be compulsory for every man that's getting married.